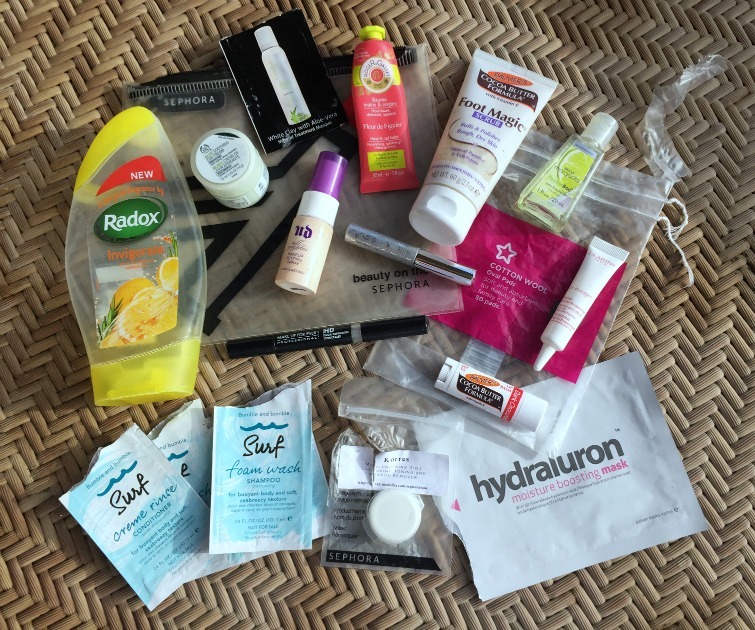 A bonus empties post for this month thanks to my recent trip to Dubai with plenty to talk about so let's dive straight in. A bottle of Radox shower gel often accompanies me on holiday especially when I am travelling with friends or family as it's a great sharer. Ben and I happily worked our way through the lemon and rosemary scent particularly as we needed as much 'invigorating' as possible due to being in ultra relaxation mode whilst away. It wasn't quite full when we left the UK but there was plenty for over the ten day period in addition to another shower gel I was using (more on that coming up soon). I threw this sachets of the Bumble & Bumble Surf Shampoo & Conditioner (along with my surf spray) on a whim thinking they'd be ideal for days I wanted to let hair dry naturally and add a bit of texture. I completely fell back in love with the Surf range which I hadn't used over Winter and will definitely be stocking up for my trip to Ibiza in 3 weeks. This was a great holiday moisturiser, light, hydrating and contained SPF. You can see the rest of my holiday skincare regime in last weeks post or follow the link for my review of The Body Shop Aloe Range. Just because I was on holiday I didn't want to abandon my weekly face masks so poor Ben had to endure my walking out the bathroom with various versions on my face. I threw a Clayspray sachet into my make up bag as it was the perfect travel companion. I'm going to publish a more formal review soon of the Clayspray range but I can say I enjoyed this mask, feeling cool on application and quickly tighten (so Ben had a few moments of silence from my jabbering). The White Clay and Aloe Vera mask was to comfort and soften reactive skin which was just what I needed. Battling the excessive heat of Dubai a make up setting spray was essential to ensure my make up didn't slip off my face throughout the evening. A great combo with Chanel Les Beiges and I will certainly be repurchasing. I'd had little opportunity to use such a small sample of Korres 3 in 1 Cleanser but my outbound flight was the perfect opportunity. As I was flying overnight I arrived at the airport with a face full of make up that I wanted to remove when I settled down to try and get some sleep. The Korres all in once cleanser contains lactose and amino acids to nourish the skin and add a hydrating film which is a necessity in the recycled air of a planes cabin. It quickly removed make up to provide the base for all my facial spritz applied throughout the flight. It was a no brainer that the Fleur de Figuier hand cream would join me on holiday along with the Fleur de Figuier Perfume. I can't bear dry hands and never more so than flying and I spent much of the flight and week away reapplying this cream so much so that it made it's way to the empties pile. Will I repurchase - most certainly. This was one of my first 'the beauty blogger made me do it' purchases and something I don't use often but essential for nights out. By day I tend to leave my bottom lashes au natural but at night it adds a little something extra I like. I fully intended to repurchase this at World Duty Free on my way home but completely forgot so it will be added to the Ibiza Duty Free wish list in a couple of weeks. Lastly - how have the drugstores not duped this yet? Days spent in flip-flops and nights in heels I didn't want to abandon my Palmers Pedicures whilst on holiday so took along this gritty foot scrub to treat my feet. It was great to apply in the shower and keep my feet tip top whilst away and I will definitely repurchase as I liked the harsher scrub for my feet than the body versions have. Previously this hand gel was kept on my desk at work and I threw into my hand luggage for the flight. The scent of this is amazing and frequently on using at work someone would comment on 'you smell nice' - not bad for something to fight germs. Whilst I did visit a Bath & BodyWorks at Dubai Mall I was completely overwhelmed and decided to wait for a haul when I hopefully visit Rose at the end of the year. I forgot to note exactly what product this was but remember receiving as a sample during a Sephora visit last year and being told it was a great SPF. Such a small tube I thought it was perfect to use quickly during my trip. As an SPF it worked great and I can report that this in addition to all the other facial SPFs I used created a great tan on my face with no obvious damage. As for the formula of this cream it was thin and certainly of the 'watery' variety but none the less was absorbed into the skin effectively. I wouldn't usually throw my empty packs of Cotton Wool Pads into my empties post but as this are different from my usual Boots version I thought I'd offer comment. I picked these up during a Superdrug visit and I'm sure there was a usual 3 for 2 offer of similar so I had been using at home prior to my holiday also. On first use I wasn't too happy, they seemed to become wetter and soggier than their Boots counterparts but as I became used to them I was able to make things work - and avoid being so heavy handed with my toners and the like. Their texture was also more wiry than I was used to which was also another plus against, that said they did perform their function adequately. Would I choose these over the Boots Cotton Pads? No but if I was in Superdrug and needed cotton wool pads I would happily pick these up. 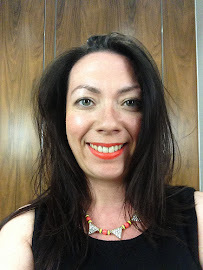 I picked the Palmers Tinted Lip Balm for my hand luggage as it's tint would add a little colour to my make up free face during the flight and likewise on the beach if I felt my lips getting a little dry. Unfortunately it was a casualty of the Dubai heat and managed to break, melt into the lid during my stay. I no longer fly without having one of the Hydraluron Sheet Masks in my case to apply at the other end to combat the cabin air. Whilst I don't find any benefits from using Hydraluron serum on a regular basis due to other products in my regime the masks are something I rely upon to give that extra boost the skin needs. If you have any long haul flights on the cards I'd highly recommend you pick some of these up. So there you have a rather extensive holiday empties post. It's quite fun to have had a holiday three weeks prior to my next as I have a great idea for what I do and don't need to take along with me. Anything you spot that you always use up on holiday? It's perfect for the Summer. I definitely need to replace it! I hope a Dubai Holiday post is coming soon! I need to replace the UD setting spray asap! Love the products, I will have to try some of these out!